Each American household has a significant impact on our environment. The appliances we depend on each day can be significant energy consumers, while in turn creating carbon emissions that are harmful to our environment. Did you know HVAC systems are the biggest energy consumers in U.S. homes? Making key changes in the heating and cooling products you use will reduce your home’s energy usage and emissions output for the betterment of your family and the world around you. In honor of Earth Day, Monday, April 22, you can take steps to make your home more energy efficient. Learn more about the energy efficient home comfort systems available that make heating and cooling not only more environmentally friendly, but friendlier for your wallet. A whopping 41.5 percent of U.S. home energy consumption is dedicated to space heating. Energy-smart changes in the way you heat your home have a significant impact on your household’s largest energy consumer. Take advantage of natural energy to keep your rooms warm – open your curtains and let the sun in! During the daytime, keep window coverings open in south-facing rooms, allowing sunlight to come in and make the space warmer. This natural heat gain helps you feel more comfortable without cranking up the heat. Reduce heat loss by closing off drafts and sealing air leaks, keeping more of your heating energy inside where you want it. Doing so also prevents more energy being used by your heating system to make up for the loss to keep you comfortable. Use weather stripping around windows and doors. Examine your home inside and out to find gaps and cracks letting energy escape and seal them with the appropriate caulk. The Dave Lennox Signature® Collection SL297NV gas furnace is the lowest emission furnace available on the market, producing 65 percent less nitrogen oxide (NOx) emissions than standard low NOx furnaces. Winner of Green Builder Magazine’s 2019 Green Innovation of the Year Award, this furnace was also rated Most Efficient of ENERGY STAR® 2019. 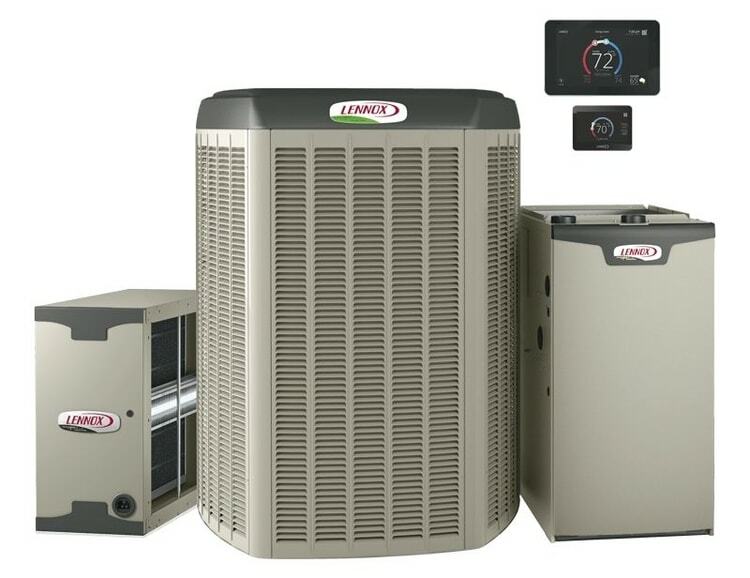 It delivers supreme efficiency that ultimately saves you hundreds in utility costs every year. 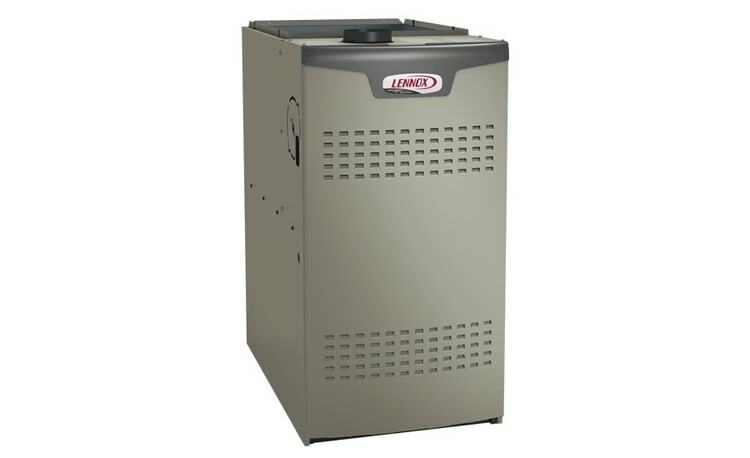 The gas furnace is another excellent choice for homeowners looking to boost heating efficiency for a better environment both indoors and out. One of Green Builder , this model is the quietest in its class – the variable-speed blower motor is up to 4.5 times quieter than its competitors, delivering both quiet and efficient comfort in the home. You’ll generate substantial energy savings when upgrading from a less efficient model. Utilize your ceiling fans when a room is occupied. Set fans to rotate counterclockwise, creating a windchill effect that cools the skin. You’ll feel cooler without your air conditioner working harder. Turn off fans when you leave the room, because this trick is only useful when occupied – otherwise you’ll waste energy. Do the opposite with your window coverings in the summer – close them to prevent natural heat gain that makes your home warmer and your air conditioner run longer. Blinds and other energy efficient window coverings let you enjoy natural sunlight throughout the day while preventing the sun’s rays from warming your living areas. Using a more energy efficient air conditioner cuts electricity consumption to conserve energy at home. Max out cooling efficiency with the Dave Lennox Signature Collection XC25 air conditioner. The most efficient air conditioner you can buy, the XC25 is ENERGY STAR qualified, which has the power to generate hundreds of dollars in savings over just one year! Create your ideal, energy efficient home with incomparable cooling comfort. In addition to upgrading heating and cooling equipment for a reduction in energy consumption, implement the right controls to maximize energy efficiency. Pair in the Dave Lennox Signature Collection with the iComfort® S30 ultra-smart thermostat from Lennox to generate even more savings. The iComfort S30 automatically adjusts temperatures throughout your home adjusting to your routine, delivering effortless yet precise comfort throughout the year while cutting energy waste. Use energy-smart thermostat settings year-round to keep heating and cooling energy consumption in check. In the winter, 68°F offers comfortable temperatures with less heating. In the summer, 78°F keeps you cool and prevents your air conditioner from running excessively. Whenever your home is unoccupied, adjust your thermostat settings back about 10°F to maximize energy savings. During the work or school day is a great time to do so! With a programmable or smart thermostat, these setbacks are effortless – save energy automatically with the help of the right home heating and cooling technology. Ready to make a move toward better energy efficiency and lower emissions in your home? Find your local Lennox® dealer to learn more about the Dave Lennox Signature Collection and other home comfort systems that maximize energy savings to help you create a more comfortable, environmentally friendly home. Dave Lennox Signature Collection is the ultimate in creating the ideal home. From supreme efficiency to unprecedented performance, this product family delivers incomparable comfort. For those unwilling to settle for anything less than extraordinary, there is only one option. Dave Lennox Signature Collection.